Hello and welcome back for a quick update concerning this weeks server files release. We are aware that many server administrators have been having problems with our recent release of new server files. It should be noted that the files are a full version, meaning that they should be installed onto a clean server and not on top of an existing 2.45 server. We apologise for any inconvenience we have caused by not making this clear. There also was a mistake in the initial release, where version control files weren't stripped out of the build (causing it to be over 800MB). Now the build is clean, if you want to be absolutely sure you have working files, without any unnecessary additions, just re-download the hotfix, it should be ~ 380MB now. The updated server files can be found here. NOTE: Unless you administer a server, you do not need these files to play FH2. For those curious as to what has changed, they can see a short changelog here. 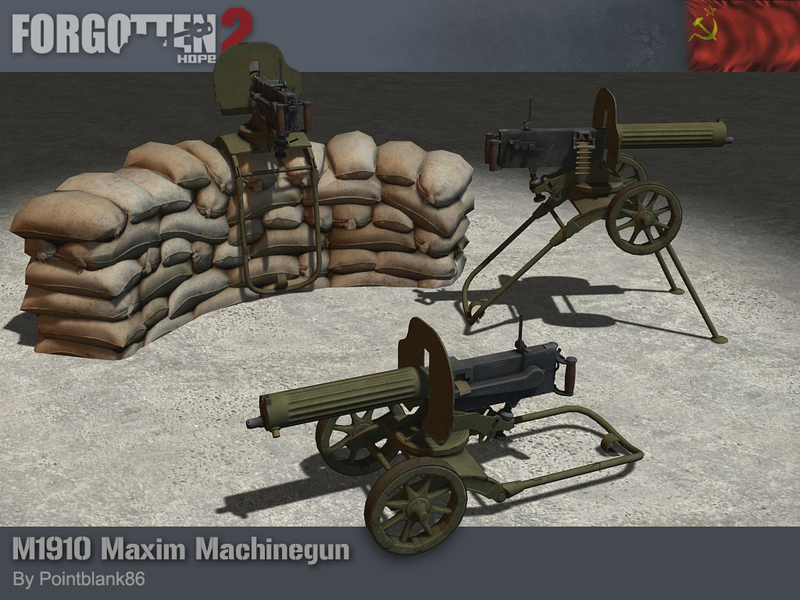 Today we have details of a new set of server files, as well as a render of an important Soviet weapon: the M1910 Maxim machine gun! The first Maxim gun had been demonstrated in 1884 by inventor Hiram Maxim, and would go on to serve in many European armies in various colonial conquests. The Imperial Russian army adopted a modified version in 1910, chambered in the standard 7.62x54mmR rifle cartridge. This design would go on to serve with the Red Army well into the 1960s. In that time, a few improvements were made, such as adding the ability to feed from metal belts as well as the older cloth belts, as well as the distinctive larger water filling port copied from Finnish Maxims that allowed the shroud to be filled with snow. Now for information concerning our new server files. For those curious as to what has changed, they can see a short changelog here. Remember that if you do not administer a server, you do not need to download this. The files can be found here. Please note that this is a full version, and should be installed on a clean server, not on top of an existing installation. Our winners for this week's screenshot competition is McCloskey. You can view the winning submission here. We are now accepting entries for the week of September 24th. If you think you have the best FH2 screenshot, post them here. 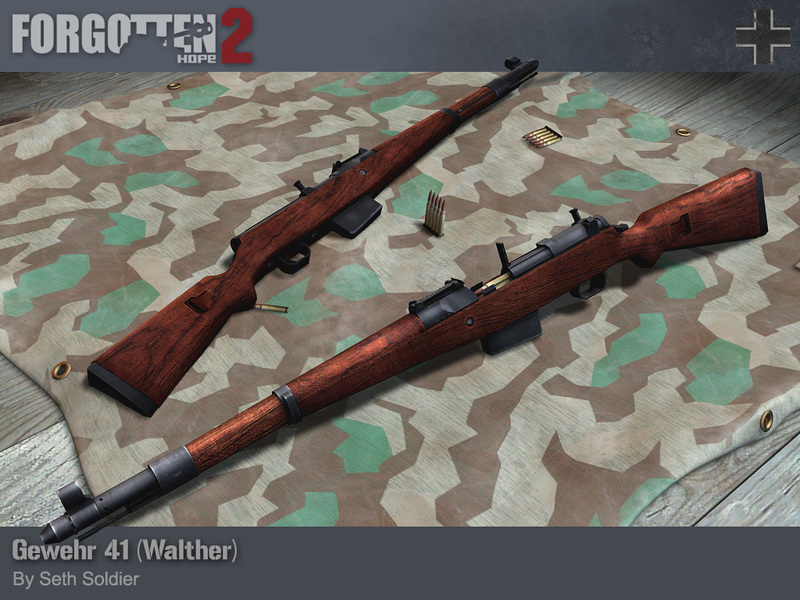 Today we have an announcement by the Forgotten Honor and World at War tournaments, but first, a render of a rather unsuccessful German rifle: the Gewehr 41(W). In 1940, the Wehrmacht recognised a need for a semi-automatic rifle to improve the firepower of the infantry. They decided on the specifications this rifle should have, and submitted this to various arms manufacturers. Both Walther and Mauser produced prototypes. Mauser's design closely followed the demands given: it could be used as a bolt action rifle should the gas system fail, it had no external moving parts, and it did not have a gas port bored into the barrel. The Walther design ignored the first two of these requirements, as they proved too troublesome to follow. As a result, while neither design was particularly good, Walther's was obviously the better of the two and was accepted into production. Since no gas port was allowed to be bored into the barrel, the weapon used the "Bang" system (after its designer Søren H. Bang). Expanding gas was trapped in a ring around the end of the barrel and drove a piston that cycled the mechanism. It was prone to fouling and was difficult to clean. These problems eventually led to the G43, which used a modification of the gas system used in the SVT-40. The G41(W) had a fixed 10 round magazine, and was loaded using standard 5 round stripper clips. Between 40,000 and 145,000 rifles were manufactured between 1941 and 1943. Ours was made by Seth Soldier. You can also see a preveiw of the animations for this weapon at Chad509's Devblog. Our winners for this week's screenshot competition is United_Stealth. You can view the winning submission here. We are now accepting entries for the week of August 20th. If you think you have the best FH2 screenshot, post them here. Only two months ago WaW and F|H decided to start a joint venture to bring their campaigns to a new level and end years of competiton. Now we are happy to open signups of our first joint campaign to the public! With this campaign we aim to offer even more organised, coordinated and team-oriented gameplay than before - every Saturday! And of course, thanks to Nemes1s' great work on the code, epic campaign battles with more than 64+ players. Together we are backed by 18 years of experience in campaign hosting, a large pool of custom maps and custom equipment - some of it based on completely new theatres of war. In this campaign you'll be able to explore 10 of the best maps from our shared map pool. Join us and discover our custom additions such as the Italian theatre or the popular naval battles! A unique feature of this campaign is that each of the communities represented in the joint venture hosts one of the two divisions. While WaW is hosting New Zealand's 72nd Maori Armoured Division, F|H is home to the German 1. Fallschirm-Jäger-Division. WaW and F|H respectively take care of the entire hosting of their division, including division forums and division administration. 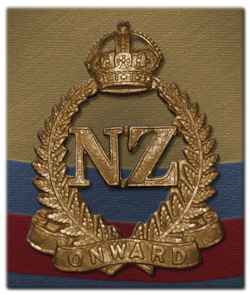 Pick your side now and join either the 72nd Maori Armoured Division at WaW or the 1. Fallschirm-Jäger-Division at F|H! If you want more impressions, cannot decide which side to join or simply want to share your fun during our campaign with others once you've signed up, visit our "neutral" homepage: www.FH2Tournament.com. You will also be able to go directly to WaW's and F|H's signup pages from there. If by then you still haven't decided wich side to join you can also use our Random button and let chance surprise you. We are looking forward to welcoming you in our campaign!